"I'm a Guru" - Gurus 2011 Rap from Church Tech Talk on Vimeo. Our youth minister posted this for all the A/V boothies at church, and I LOVE it! It's hard to pick a favorite line, but "I can mute you" is pretty rad--and tempting sometimes. 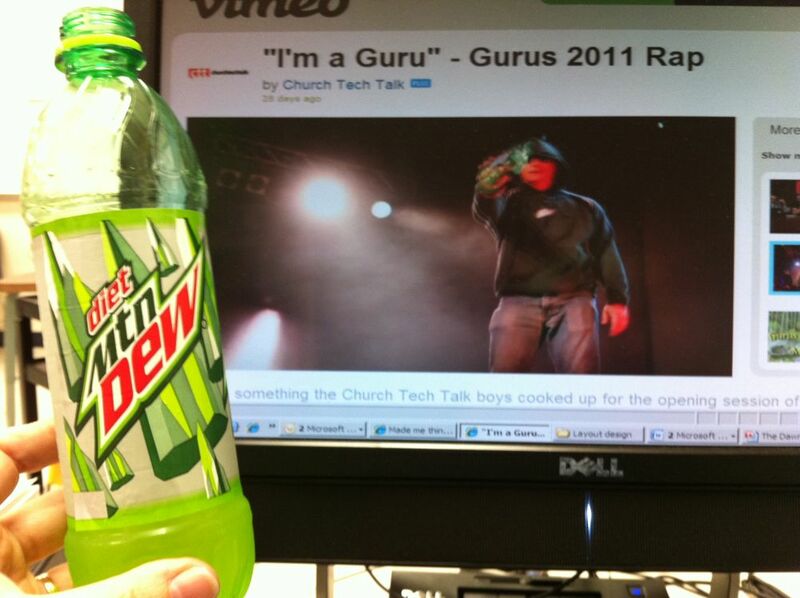 What's funny is that I was sipping my Diet Dew when I watched the video for the first time. How appropriate! Big props to Brock for sharing this with us! You hold a lot of power wielding that mouse in the sound booth!